Just about this time each year, we start planning another trip to Moab, Utah. We have fallen in love with the quirky town and the gorgeous parks that are its main draw! 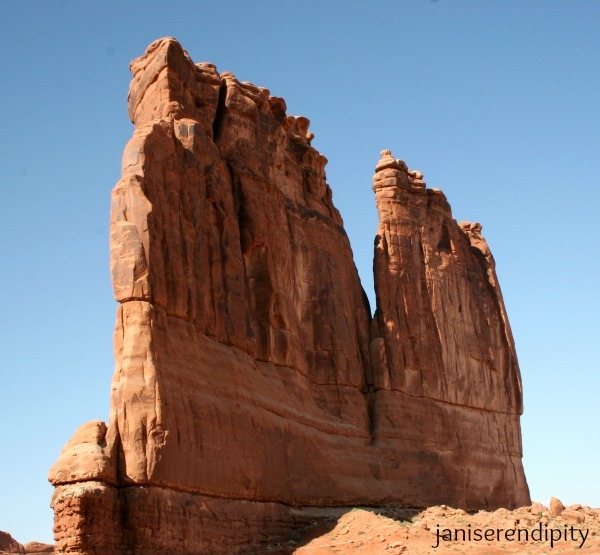 One of our favorite destinations is Arches National Park. We have the Lifetime Senior Pass, which costs $10 and allows free entrance into any national park or forest for seniors 62 and older. We highly recommend purchasing this. Note: There are those (possibly me included) who mistakenly refer to each arch in the park with a plural usage… that’s incorrect. 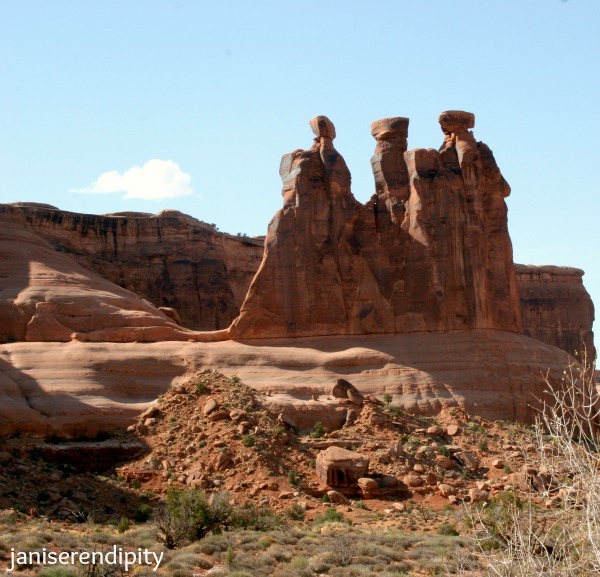 This is Delicate Arch – you may have seen this on Utah license plates. This is a map that (I think?) we picked up at the ranger’s station. I added a few titles to show just how close everything is – and yet you can spend endless hours exploring this awe-inspiring scenery! 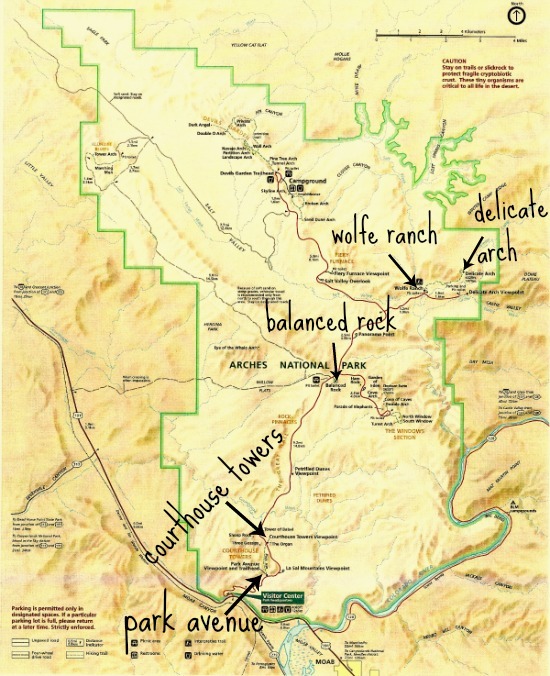 If you look at the above map, the Three Gossips formation is in the same location as the Courthouse Towers. They just have such a striking difference in their appearance! A perfect view of Courthouse Towers. It’s difficult to even comprehend how this rock is being balanced. 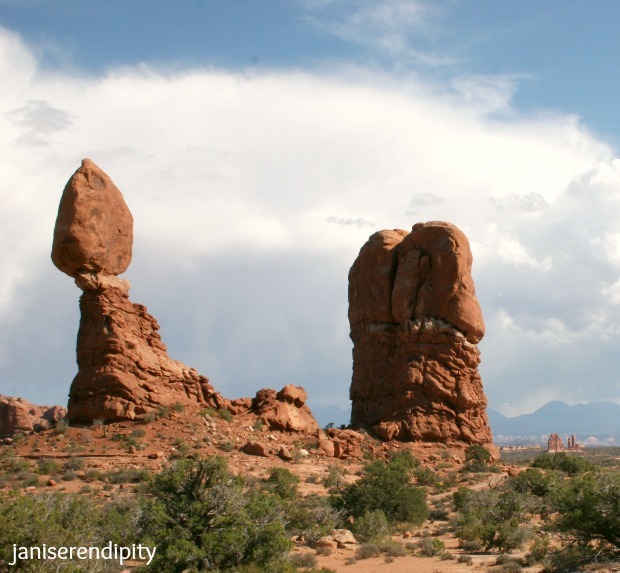 It has the right name: Balanced Rock! HB and I enjoying this gorgeous day at Park Avenue… I should have brought my shopping bag! Since, it’s almost impossible to fit all your activities into one day, might we suggest adding a couple of extra days to your stay in Moab. It is be well worth your time. These extraordinary rock formations are mesmerizing! 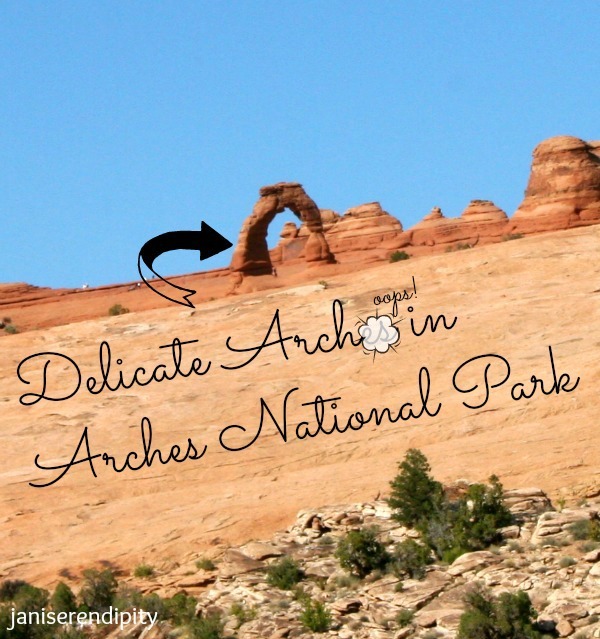 Have you traveled to Arches? 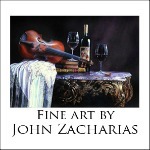 I’d really encourage you to check out the wonders of this great place…. and again it’s practically in our backyard! I’ve never been there but I sure wish i could go. It looks like a fun trip for sure. 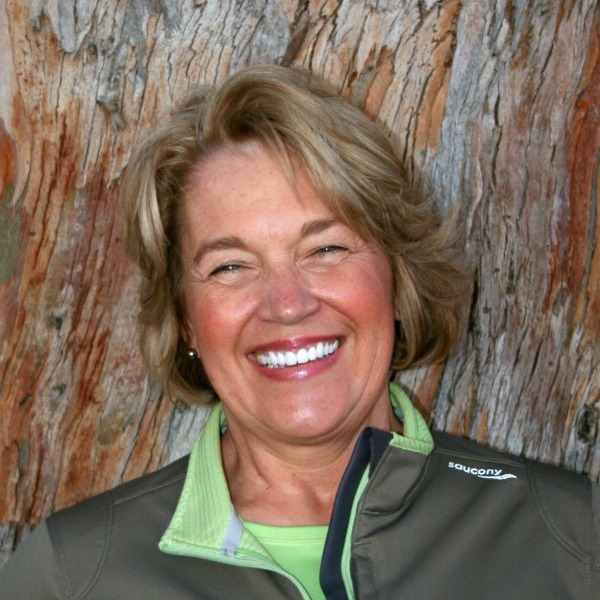 I am enjoying your blog and use some of your fashion pics on pinterest. I hope that is allowed. Have a good day. Latane, I hope you can travel there some day. It is so beautiful! I love when followers repin my photos on Pinterest! I live in Moab and LOVE it, so much !! Danielle, Moab is gorgeous. 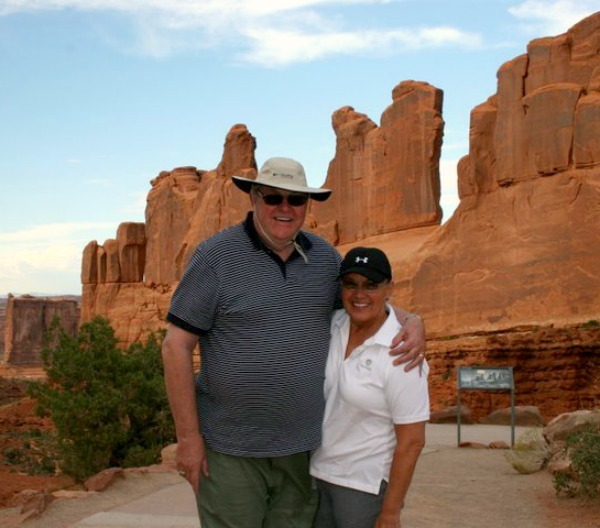 HB and I have loved our visits from our stay at Sorrel River Ranch to the Comfort Inn and Suites! We love the beauty surrounding Moab!